In the 1950s and 60s, HK industrialists leveraged the flexibility of plastic as a material and developed a wide variety of products ranging from toys, flowers, Christmas trees, buckets, plates to shoes and sandals and exported them all over the world. 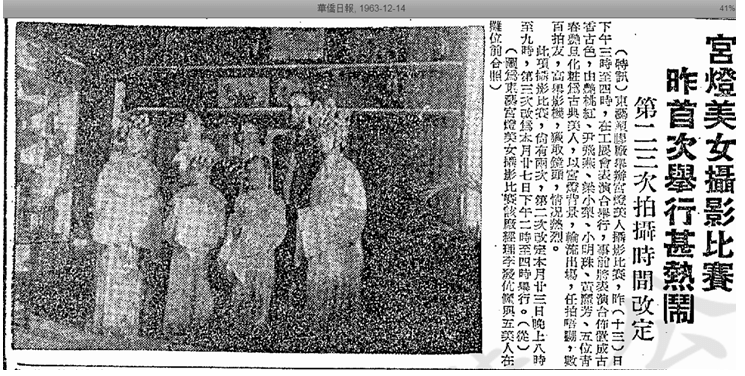 One such creative entrepreneur was Lee Fat (李發) of Eastern Arts Plastic (東藝塑膠), who applied the material to traditional Chinese palace lanterns, a product which his family had allegedly been making for centuries. 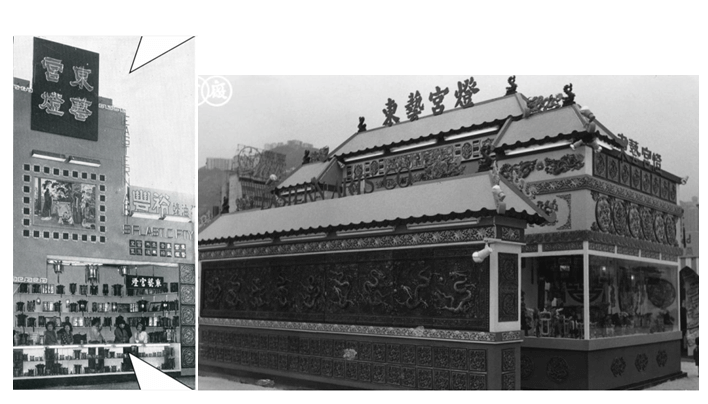 Eastern Arts Lantern booths were prominent fixtures at the CMA HK Products Expo in the 1960s and 1970s and won many awards for its traditional Chinese designs. 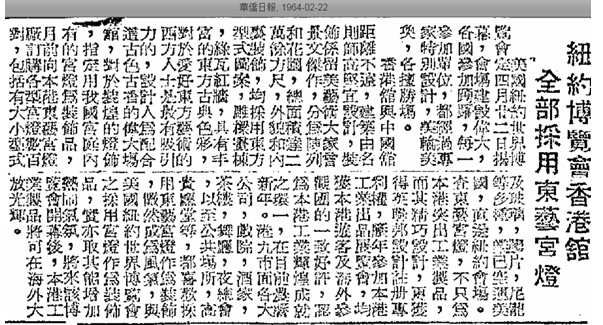 Born in 1906, Lee Fat was a native ofQibao in Xinhui prefecture (新会七堡). Artisans who made lanterns for the imperial palaces during the southern Sung dynasty settled in the Jiangmen and Xinhui area where their craft was passed on from generations and the Lee family was one such family of craftsmen. Lee’s father Li Xiyan (李希焱) established his palace lantern company around 1880 and in 1925, Lee inherited his father’s business. During the late 1940s, Lee’s wife went to the Forbidden City in Peking where she spent two years taking sketches of decorative objects to serve as reference for their products. 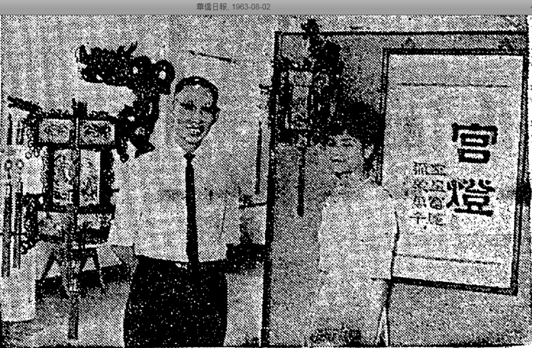 In 1949, the Lee family moved to Hong Kong where they established the Eastern Arts Lantern Factory and registered its trademark and designs with the UK government. Traditional palace lanterns were expensive due to the materials and time involved so when the low-cost plastic materials were introduced, Lee formed Eastern Arts Plastic Factory to make plastic lanterns.Thanks to low price, product variety (at its peak it produced over 160 different types of palace lanterns) and good quality, business took off and soon Eastern Arts lanterns could be found in restaurants, hotels, banquet halls, theatres, nightclubs and temples around HK and across the globe. In the 1960s, the firm had its factory located at Tung Cheung Factory Building at 657 King’s Road and two retail outlets – 1st floor of 78 Queen’s Road Central in the HK side (across the street from Man Yee Building) and no 15 at the Chungking Mansion in the Kowloon side (earlier address was 491 Shanghai Street). The two peak seasons for sales were Chinese New Year and Mid-Autumn Festivals. 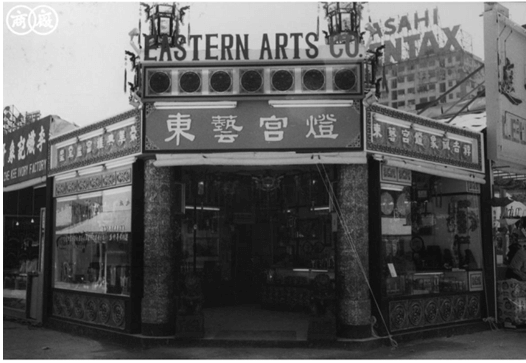 Eastern Arts participated in the HK Products Expo for 12 times during the 1960s and 1970s and won the top award for best booth 6 times. In the 1970s, Eastern Arts lanterns remained popular thanks to the China craze across the globe. It also found a new customer segment in the production sets of TVs and movies and its products could be seen in shows with ancient Chinese settings on TVB or ATV. In the early 1980s, Lee Fat began investing in palace lantern production in Jiangmen. By the 2000s however, palace lanterns had become a dying business and in 2007, the 91 years old Lee Fat decided to pass his business to a fellow clansman in Jiangmen by the name ofLi Yangdong (李仰東), a former sketch artist in Times Square in New York who felt obligated to continue the centuries old tradition of making palace lanterns. The business continues as Dongyi Gongdeng in Jiangmen where lanterns are made of plastic and redwood and has been declared culture heritage by local and provincial government. This article was first posted on 17th September 2018.